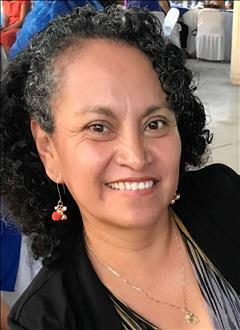 M del Carmen Borjas, 47, of Brownsville, passed away on Tuesday, February 5, 2019 at Valley Regional Medical Center in Brownsville. M del Carmen Borjas was born in Mexico to Roberta Galvan and Tomas Moreno on February 17, 1971. She is preceded in death by her father, Tomas Moreno; 2 brothers, Rosalio and Ramiro Moreno. Mrs. Borjas is survived by her husband, Margarito Borjas; children, Jennifer (Javier) Borjas- Rocha, Tomas (Amanda Pineda) Borjas; her mother, Roberta Galvan de Moreno; 6 siblings, Consuelo, Maria Luisa, Maria Del Jesus, Manuel, Juan Diego, and Guadalupe Moreno; a grandson, Javier Rocha, Jr.
Visitation will be held from 1:00 PM - 9:00 PM with a Rosary at 7:00 PM Friday, February 8th, 2019, at Garza Memorial Funeral Home. Funeral Mass will be held 10:30 AM Saturday, February 9th, 2019 at Our Heavenly Father Catholic Church. Interment will follow at Los Cuates Cemetery.